Oklahoma State receives the third spot. Is it enough? A year of debate and consternation about the system, the teams and everything in between has come to a close. 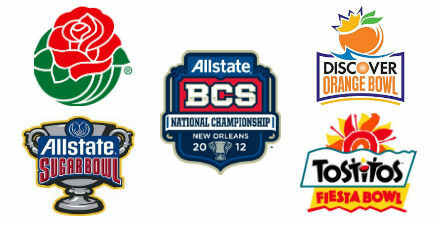 With 14 weeks in the books, we’re finally at the moment where the BCS is readying its slate of games. Are we headed for a rematch in the title game? Or is Oklahoma State going to get the support they need to make a trip to the title game? 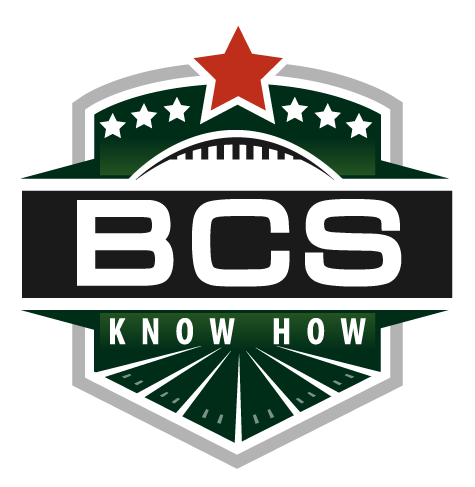 Whether you agree with it or not, the BCS certainly has delivered the framework for another slate of interesting games, and when the bowls are announced Sunday night, we’ll have the opportunity to revel in some really solid college football matchups. Comment: Risky as this prediction is, the public’s view point has been swayed, and there’s no denying it. 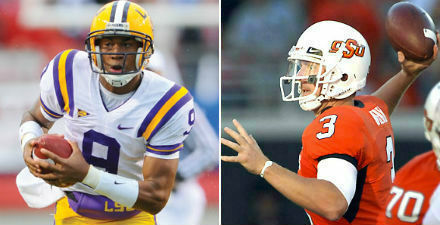 LSU deserves this bid, no doubt, but so does Oklahoma State. The 174 voters will have to own up to their selections tomorrow, and how can they justify denying Oklahoma State its first shot at LSU when Alabama already had its shot? Comment: Two teams that simply needed to cash in opportunities in their respective conference championship games to get to the Rose Bowl did just that, as Oregon and Wisconsin were victorious in the Pac-12 and Big Ten’s first annual championship games. Oregon took care of UCLA while Wisconsin took care of Michigan State, and now the two will meet in Pasadena on Jan. 2. Comment: Not losing Alabama to the title game slots them right into the Sugar Bowl, as the bowl will be ecstatic to grab an SEC team with its first replacement selection. Pitting Boise State against Alabama would be an intriguing matchup for the Sugar Bowl, plus the growing national appeal of the Broncos could be attractive for the Sugar Bowl. Comment: Clemson, early season surprises and then surprising entrants in the national title conversation, saw their stock slide dramatically in the middle of the season. But the Tigers persevered, clinching a spot in the ACC title game. Then, when faced with a Virginia Tech team they had already beaten this season, the Tigers put on a show, and will represent the conference in the Orange Bowl as ACC champs. A tie atop the final regular season standings among West Virginia, Louisville and Cincinnati turned the onus for deciding the conference’s BCS participant to the BCS standings. When the standings are released late Sunday night, West Virginia will likely be the one to grab that tiebreaker by finishing highest among the three in the final set of BCS standings. Comment: Losing Oklahoma State to the title game, the Fiesta Bowl receives the second replacement pick, and with no strong Big 12 team to support the Fiesta Bowl, don’t be surprised if they call Michigan’s name. Of course, the Wolverines will have to be eligible, but it seems that Michigan will just get enough support tomorrow to make itself available for this game. 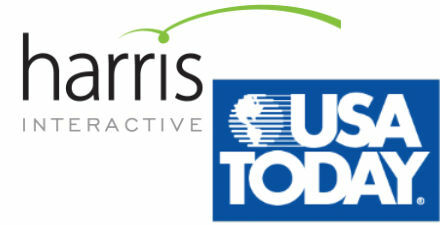 Stanford’s growing national appeal should be enough to allow the Cardinal to grab another BCS bowl bid. Plus, as a top-four BCS team, Stanford being left out of the BCS would look unfortunate for the BCS as a whole.